Day 5: It's a dance-off! What do you do when 100 kids are gathering around near the end of lunch? 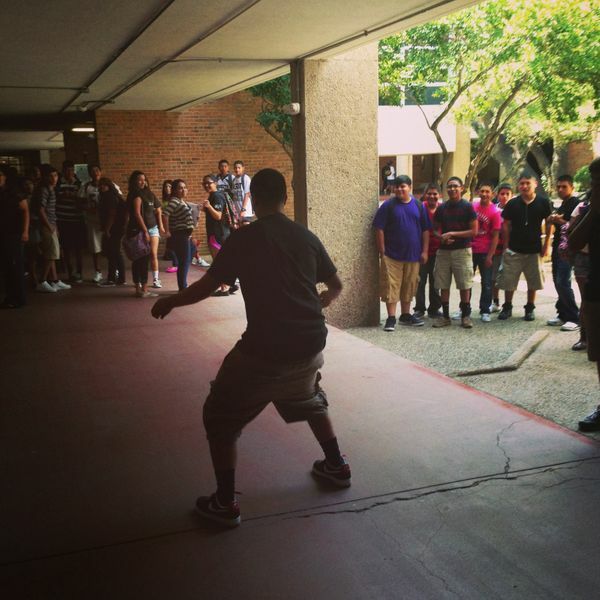 Some might try and break up the pending fight, but here at Crockett, it was just time for the 'dance off.' I couldn't get a picture that could do it justice, but trust me, there were a lot of laughs and some pretty fancy moves.